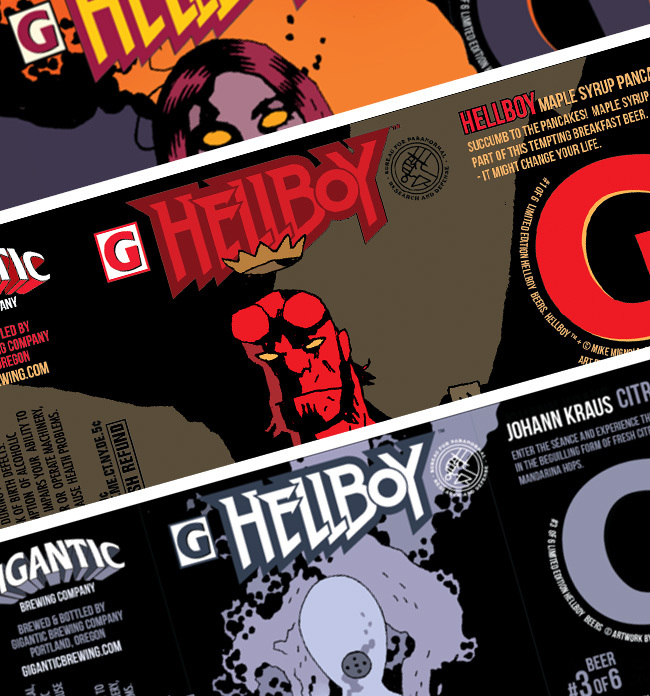 First Look: Hellboy beer gets 666 cases from Gigantic Brewing and Dark Horse Comic – AiPT! Fans attending Seattle’s Emerald City Comic Con will get a chance to be the first to taste Hellboy beer. If you’re a fan of nerdom and beer your day just got a little more exciting. The Ommegang has already collaborated with Game of Thrones to produce some excellent beers and now Dark Horse Comics and Gigantic Brewing has a new Hellboy beer on the way. The first beer will be released in March, ahead of Hellboy Day on March 23, 2019 and will have a 6.66% abv. A clever touch if I do say so myself! To get all the details read the official press release beow. MILWAUKIE, Ore., (February 11, 2019)– To commemorate the 25th anniversary of the publication of Hellboy: Seed of Destruction, Oregon’s Gigantic Brewing and Dark Horse Comics are teaming up to create 666 cases of Hellboy beer, based on award-winning cartoonist Mike Mignola’s legendary character. All told, Gigantic Brewing will release six different Hellboy beers, with flavors inspired by fan-favorite characters from the Hellboy comic books. Each new beer will be a limited edition run of 666 cases and will be released approximately every seven weeks. The first beer, Hellboy, features a maple syrup and pancake profile. Gigantic Brewing’s first Hellboy beer will be released in March, ahead of Hellboy Day on March 23, 2019, when comic book stores and fans across the country will celebrate twenty-five years of Hellboy comics and graphic novels. For more information about Hellboy Beer, follow Gigantic Brewery on Twitter, Facebook, and Instagram or visithttps://www.giganticbrewing.com/pages/hellboy.